Does the spring weather have you ready for summer visits to the Shore? 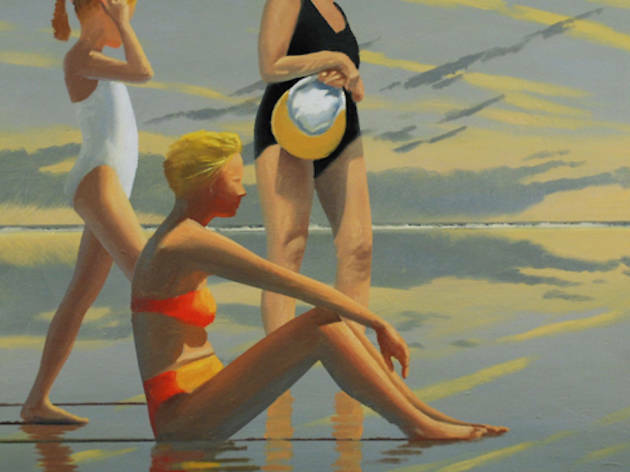 Dip your toes in the water with this exhibition of scenes from the Jersey Shore by local artist David Ahlsted. 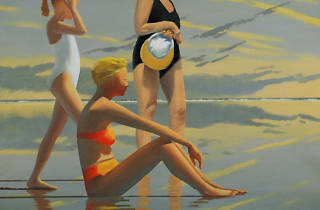 Combining realism with a mist of geometric abstraction, the colorful works on canvas may tempt you to follow your gallery visit with a trip to one of the nearby Rittenhouse shops in search of this season’s bathing suit.